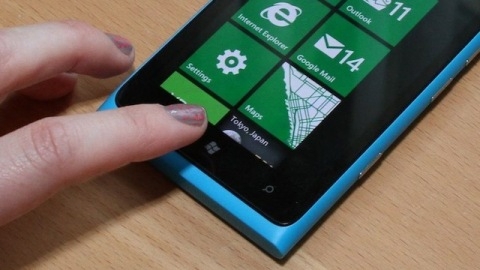 "Some Nokia Lumia 900 customers have been experiencing a loss of data connectivity-both LTE and 3G-on their new handsets. Nokia has identified the problem and devised a software fix, which will be rolled out on or around April 16th. Customers not wanting to wait can have their phones swapped for updated versions in AT&T stores. The company will also give any AT&T customer buying a Lumia between now and April 21 a $100 credit on their next bill." At the price AT&T are retailing the Lumia for (with contract), that $100 credit means you're effectively getting the Lumia for free. If you aren't afraid of hooking up with AT&T, that's a pretty good deal for what looks like one of the better Windows Phone 7 devices out there. And kudos to Nokia for the fast turnaround. Damage is done -- regardless of what they do now, this device will just be known as that one that shipped with broken data connectivity and "they had to give people $100". While it does look pretty bad as they have been trying to say you're beta testing if you use any other phone a great deal is a great deal and if they did fix, or soon will fix, that bug then I think you're still getting a great deal on a great device! Apple would have convinced their users they're delusional and there is no problem. Android manufacturers would have been slow to respond and fix an issue on device number 275 out of 300. I say good job AT&T and Nokia on handling that issue! I'm wondering if there isn't some other associated problems with the cellular radio, since I've seen a couple of comments on the Rogers forum (me included) who are only seeing '3G' indicated, even when we KNOW we're in 4G/LTE coverage areas.